Raleigh's Fourth of July fireworks are moving out of downtown for 2018. More about that here. Fireworks will go off immediately after the Durham Bulls game (tickets are required for the game, but the gates open to everyone after the 7th inning). If it rains, a call to cancel to the fireworks will be made by 7 p.m.
Gates open at Main Post Parade Field at 1 p.m. Wednesday to the public. Events include a free concert by Trace Adkins, with Walker McGuire, then fireworks between 9:42 p.m. and 10 p.m.
Pets, glass bottles, and BBQ grills are not allowed. Full list of prohibited items here. The Town of Cary is having a Two-Day Independence Day Celebration! Free activities and events are open to the public, and take place at locations throughout Cary, beginning on Tuesday, July 3 at 6:30 p.m., and concluding with a spectacular fireworks show on Wednesday, July 4 ending around 10 p.m. For more, check out "Independence Day" at www.townofcary.org or call (919) 469-4061. Celebrate America's birthday in historic downtown Apex on July 4 with numerous activities from 9 a.m. to 12:30 p.m. The event starts at 9:30 a.m. at Weaver Street Market Lawn. A parade from Weaver Street Market to Town Hall begins at 10:50 a.m. Other festivities occurring and full detailed schedule of events can be found here. This year's July 4th Watermelon Eating Contest starts at 7 p.m. at Kenan Memorial Stadium on Wednesday with the iconic fireworks display beginning at 9:30 p.m. sharp. Visit Chapel Hill's website for parking, and event information. When? 9 p.m. on July 4. Hope Springs' Independence Day Celebration on Thursday, July 5th: The day after Independence Day celebration will be from 5 p.m. to 9:30 p.m. at Jefferson L. Sugg Farm at Bass Lake Park on Grigsby Avenue. Admission is free and everyone is invited for crafts, face painting and live music. 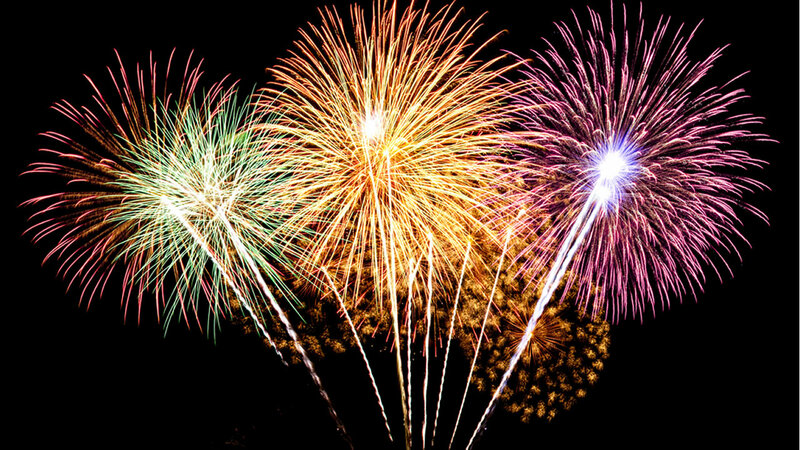 Party in the Park 4 p.m. - 10 p.m.
Firework show scheduled at 9:15pm at Municipal Park Fields 1 and 2. Parade route begins at Hope Mills Middle School on Cameron road, proceeds down South Main Street, and ends ar Rockfish Elementary School. The celebration will be held on Wednesday, July 4th on the Soccer Fields at Knightdale Station Park. The event will begin at 5 p.m. and go until approximately 9:45 p.m.
Fireworks start at 9:15 p.m. The 45th year of Wake Forest's annual celebration will get underway with the Fireworks Spectacular on Tuesday, July 3 at 5:30 p.m. at Heritage High School. On July 4, the Children's Parade will start at 10:30 a.m. at the intersection of North Main Street and West Juniper Avenue, near Wake Forest College Birthplace. Arts & Games in the Park will be held from 11 a.m. to 1 p.m. at the Wake Forest Community House. This year, all events in the two-day celebration are free. Fireworks at the grandstand area of fairgrounds begin at around 9 p.m. A BBQ Cookout with local volunteer fire departments competing for best BBQ starts at 2 p.m. You can also catch fireworks following the July 4 Wilson Tobs game against the Peninsula Pilots at 7 p.m.